By taking all the best aspects of a boxers training regime you will get a fantastic workout burning a significant amount of calories to melt away body fat promoting weight loss, muscle tone, increased fitness levels, improved coordination, rhythm, balance and a strong core. Not only is it a great way to alleviate stress and punch out your frustrations, it also leaves clients feeling empowered. Increasing your confidence, strengthening your mind and body simultaneously. Basically you get all the fitness benefits of a professional boxer without taking any punches. It truly is a very enjoyable way to lose weight, sculpt, tone and get the body you desire. As a professional coach I run one session per week within the South Woodford area London E18 as part of the Impact South Woodford bootcamp where we work on boxing technique, punching drills such as hitting the pads and shadow boxing. The sessions are a fun and effective and ideal for weight loss,helping you tone and sculpt. With the mix of the bootcamp and boxing sessions each week you’ll be in “THE GREATEST” Shape in no time! 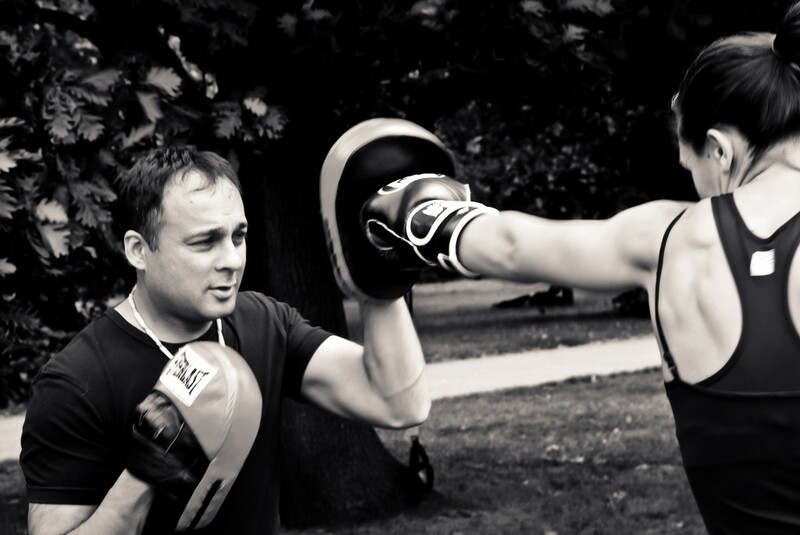 One to one boxing sessions as part of your personal training regime is a great way to learn to box even if you have never laced up a pair of gloves before. As a British boxing board of control professional boxing coach I will teach you the very basics from the correct stance and balance, how to throw your punches, defence, and how to move like a fighter. These can be held in a London boxing gym where you’ll get the chance to work the heavy bags, speed ball and move around the ring while working the pads with me as your trainer, or they can be held at your home or a local park. All boxing sessions are designed to fit in with your strength and conditioning routines. The great thing is you can begin at any fitness level and take each step at a pace that is correct for you. You’ll be surprised at how quickly you will progress and improve in all aspects while losing weight, toning up and feeling fitter and stronger. Boxing gloves and hand wraps will be supplied although we recommend you bring your own. Please bring a bottle of water and a small towel. E-mail mark@markrfitness.com or call 07956239690 for booking, information and more!